Ian McCall has resigned as manager of Partick Thistle, with Jackie McNamara taking over on a caretaker basis until the end of the season. "This has been the most difficult decision I've ever had to make," McCall told the First Division club's website. "Living in the West End of Glasgow, Partick Thistle FC has been a huge part of my life." 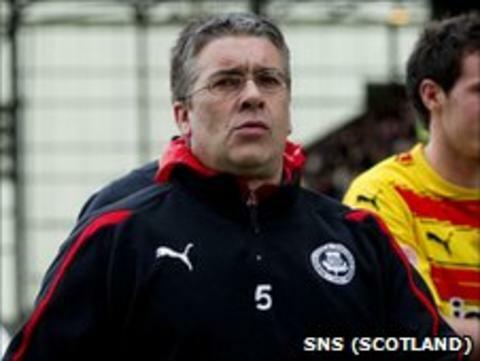 McCall, who arrived at Firhill in May 2007, leaves with the Jags sitting in sixth place in the table. Former Celtic and Scotland full-back McNamara, 37, joined Thistle from Falkirk last year.